David Marshall Greer, age 76, passed away Wednesday, March 13, 2019, at Minidoka Memorial Hospital surrounded by loved ones. 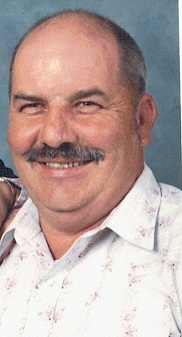 He was born on April 21, 1942 to Glenn Greer and Selena Morrison Greer. He was the 4th child of five children; Shirley, Robert, Lyle and Rodney. In his youth, David enjoyed playing outside with his siblings. They would play on rock buttes by the snake river near their home. Avoiding rattlesnakes was common practice during their many adventures on the rock buttes. As children they would swim in the canals to pass the hot summer days. To do so was still safe back then, that was before the introduction of chemicals into the canal water. By the time David reached adulthood not much had changed, he still loved the outdoors. He enjoyed hunting, fishing, camping, boating, anything that got him out in nature. 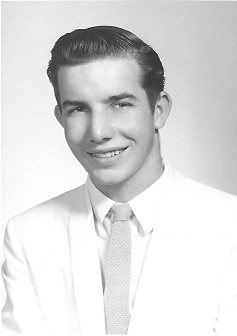 David graduated from Minico High School, Rupert, Idaho, in 1960. Shortly after high school he married Carolyn Miller. They had four children; Annette, Alan, Gregory and Brian. David and Carolyn later divorced. David went on to meet and marry Lettie Parker Dockstader on May 7, 1976. Lettie brought four more children to the family; Shawn, Tate, Donita and Wanita. David and Lettie, created a happy home for their new family. The home was always full of love. David instilled many good virtuous values upon his children including working hard, honesty, compassion, integrity, but most of all how to be a loving and kind person. He had a big heart and would help anyone he could. His deep love for his family was obvious in his actions every day. David had an unique love of life and touched many lives with his positive attitude, humor, and his big teddy bear stature. He was truly loved and will be missed by many. David is preceded in death by his parents Glenn and Selena Greer, his brother Lyle Greer, and his daughter Annette Greer Quenneville. He is survived by his wife Lettie, his three children; Alan Greer, Gregory (Lisa) Greer, and Brian Greer. Also his four stepchildren; Shawn (Patty) Dockstader, Tate (Susan) Dockstader, Donita (Kenny) McAlister and Wanita (John) Combs. Also, many grandchildren and great grandchildren. Funeral services will be held Wednesday, March 20, 2019, at the Rupert LDS 3rd Ward, 526 South F Street, Rupert, Idaho. A viewing for family and friends will be held from 10:00-11:00 am. The funeral service will immediately follow the viewing at 11:00 am. There will be a brief graveside service at the Rupert Cemetery followed by a lunch back at the Rupert LDS 3rd Ward.